Heres the home that you have been looking for! Charming southern colonial presented on a large cleared lot warmly welcomes you to come in. See yourself relaxing on the front porch as you enjoy the quiet peacefulness of the cul de sac location. You will be smiling as you walk into the entry hall on gleaming bamboo hardwood flooring on the main level that has spacious formal dining and living rooms. A master chef would truly appreciate the beautiful kitchen that awaits you complete with stainless steel appliances, granite counter tops and top of the line cabinets with tons of storage. Sunshine pours thru into your generous breakfast area from the sundeck which comes with the deck furniture. The breakfast area opens to a very large family room with a cozy gas log fireplace. The bonus surprise on the main level is the florida room just off the family room... you will think that your are on vacation as you relax with your favorite book and enjoy the atmosphere. Beyond this room is a super sized garage that is 28 ft. deep and has pull down stairs for attic storage and built in cabinets for all of your car supplies. 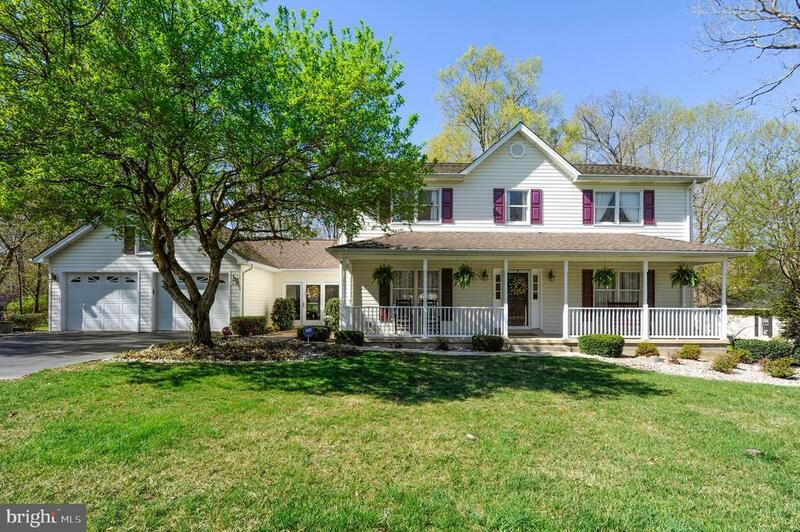 You will not believe the size of the four bedrooms on the upper level! All of them are large beyond the ordinary. Master suite is truly a peaceful retreat with a modern totally updated master bath Get your exercise in on the 20x20 basketball court in the park like partially fenced backyard which is perfect for summer afternoons with family and friends. Original owners have lovingly cared for this home as is evident front to back and top to bottom. No restrictive homeowners association rules and costs. Pride of ownership shows throughout the neighborhood. This family friendly floor plan is difficult to find in this setting and at this price. Call today for a personal tour. You will not be disappointed. Directions: Quailwood Subdivision off of Route 6 west.